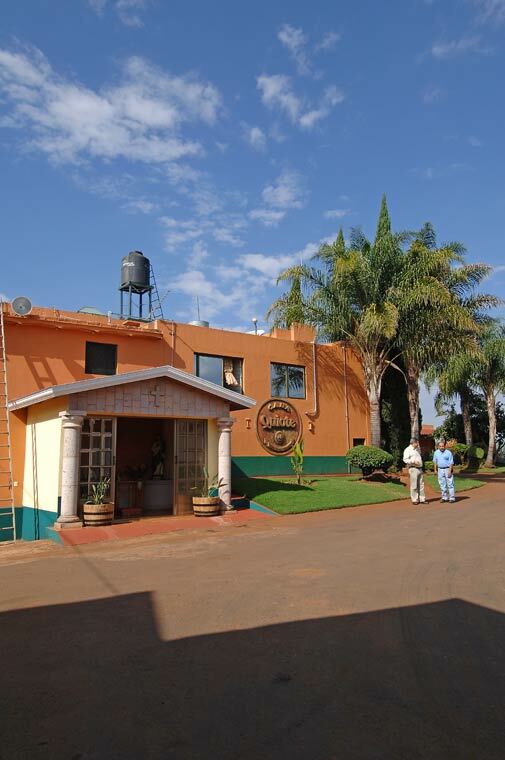 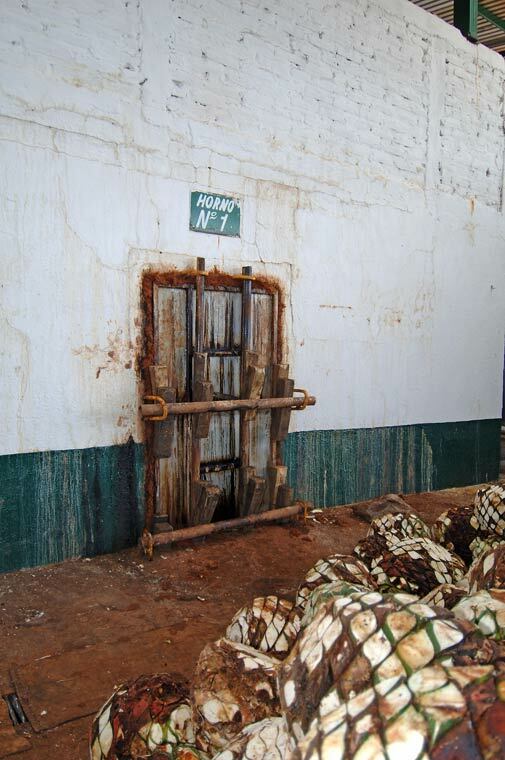 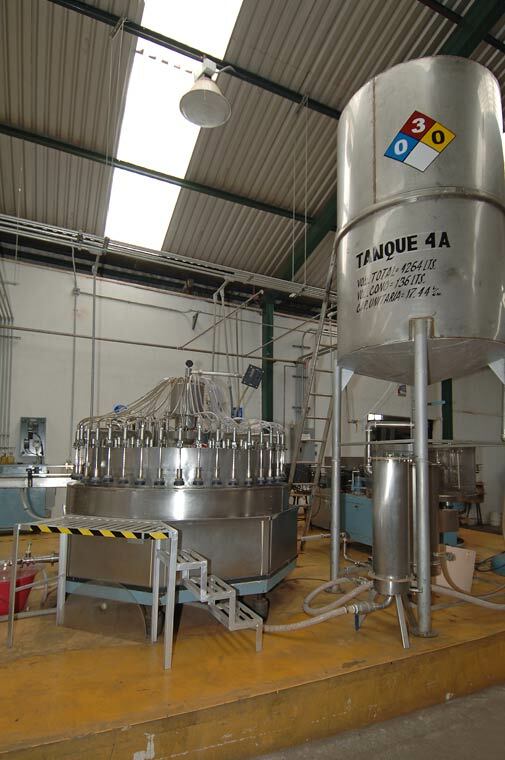 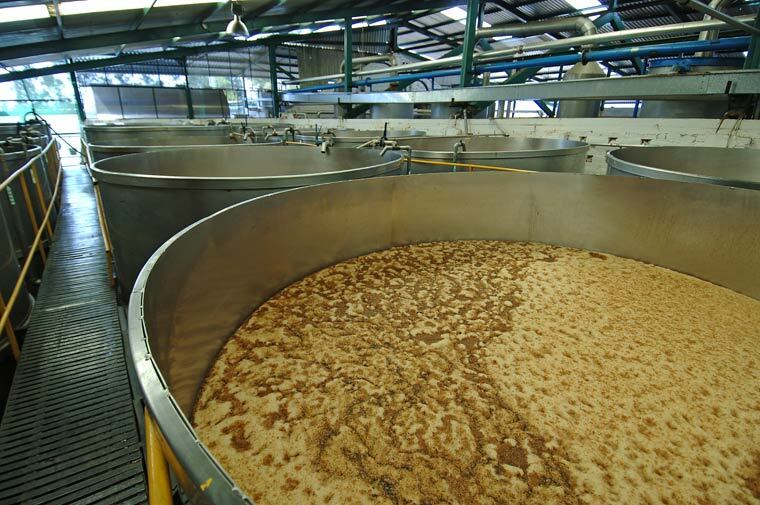 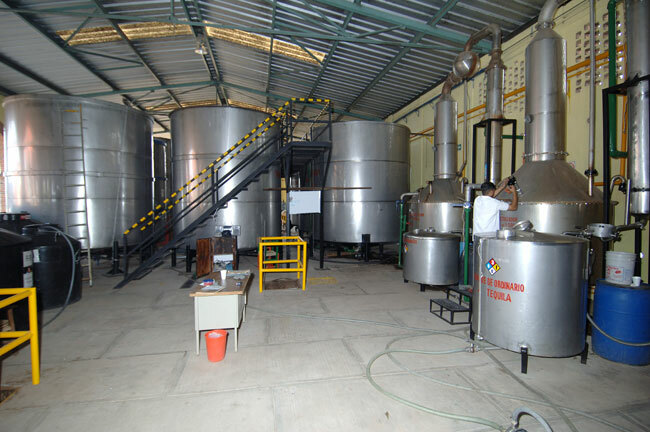 Pictures and photographs of the processes related to making tequila. 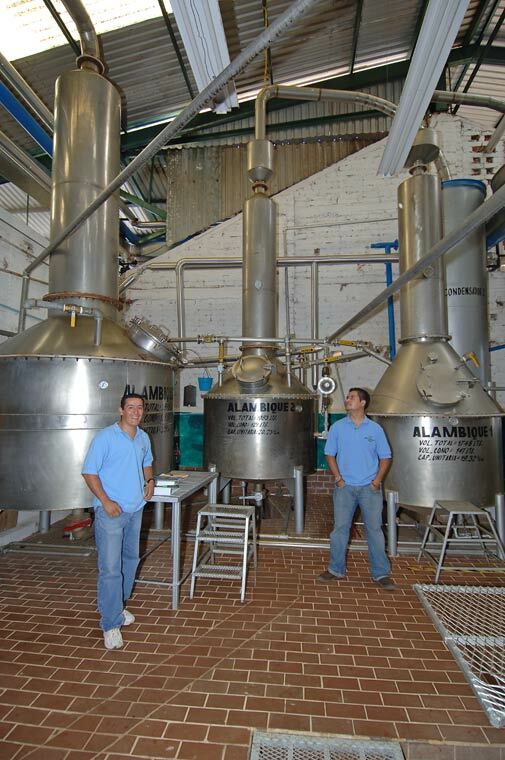 Stainless steel alambiques (stills) are used to distill agave mosto into tequila. 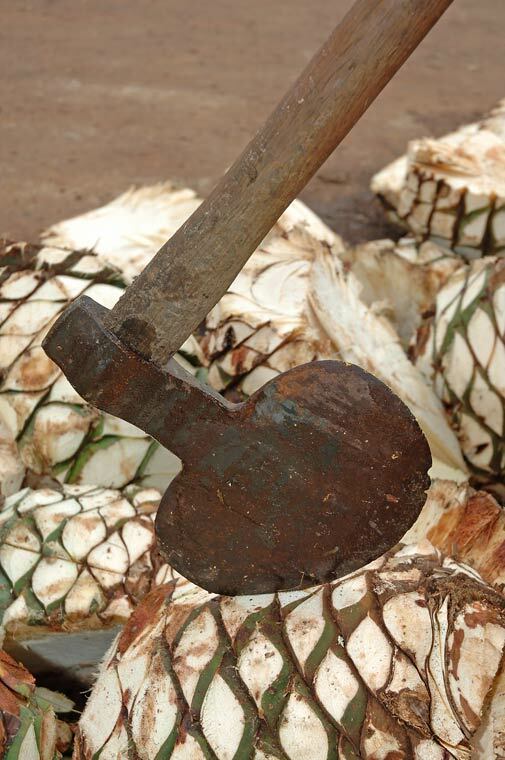 Hacha - axe or hatchet used in the harvest of agave hearts. 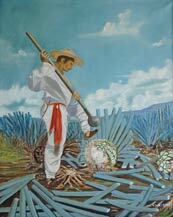 Bottling is done by hand at Tequila Tres Mujeres. 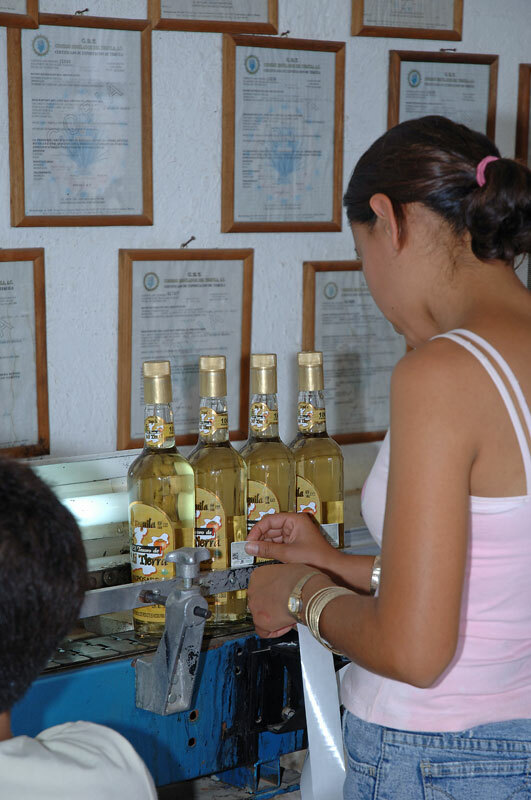 Here the girl is placing the tax label on the bottle. 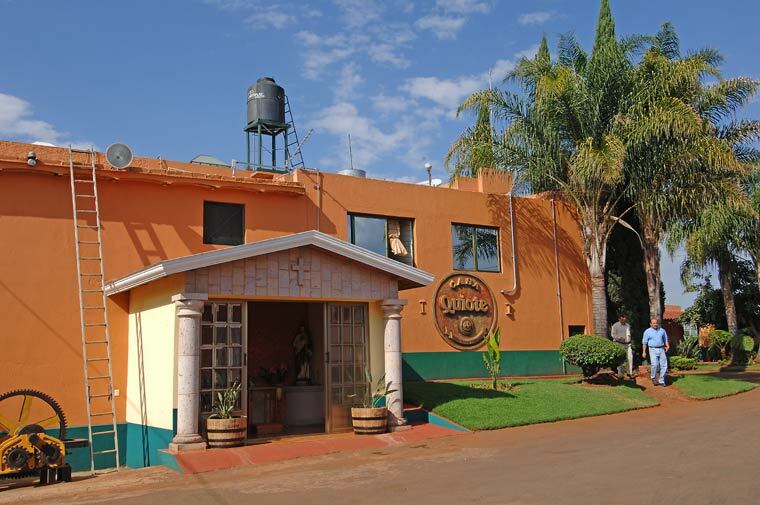 Courtyard in front of the bottling room. 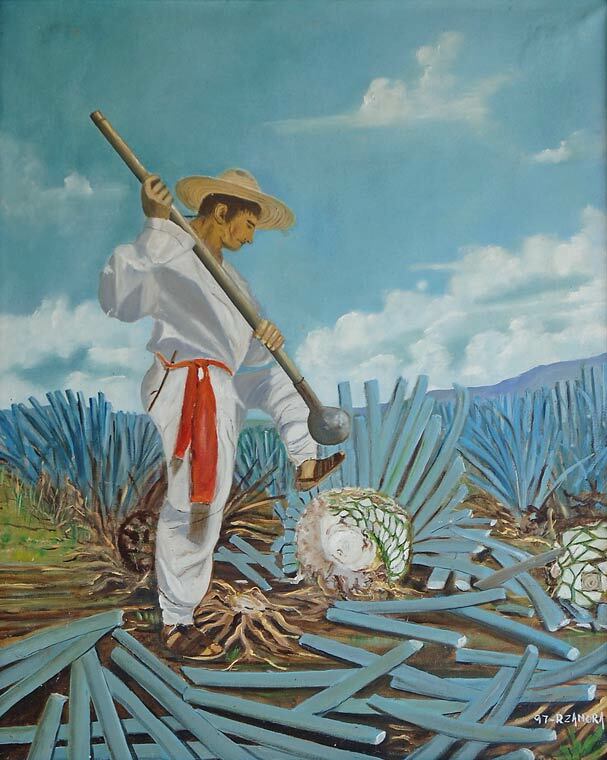 Traditional adobe oven (horno) used to cook the agave piñas. 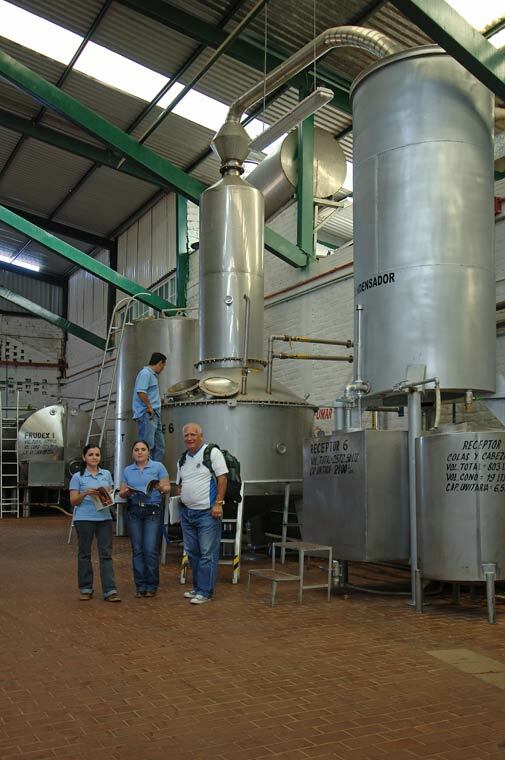 Stainless steel tanks are used to hold the fermenting agave mosto (must). 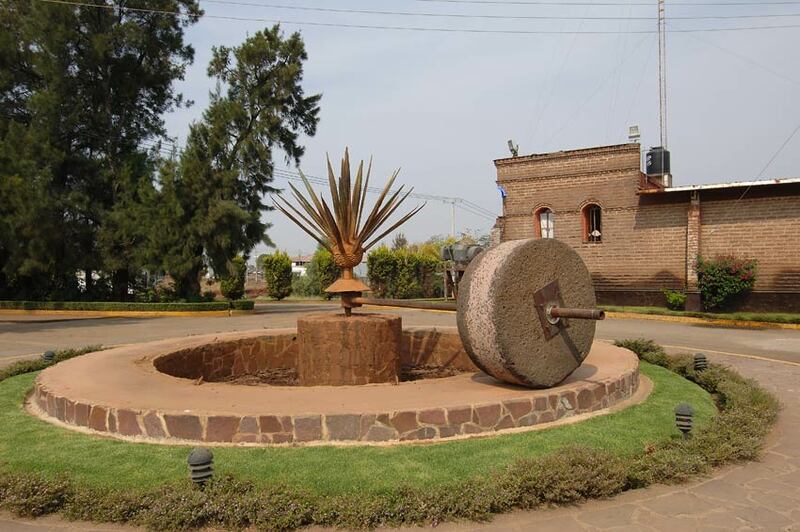 Stone tahona at the entrace to Tequila Centinela in Arandas, Jalisco. 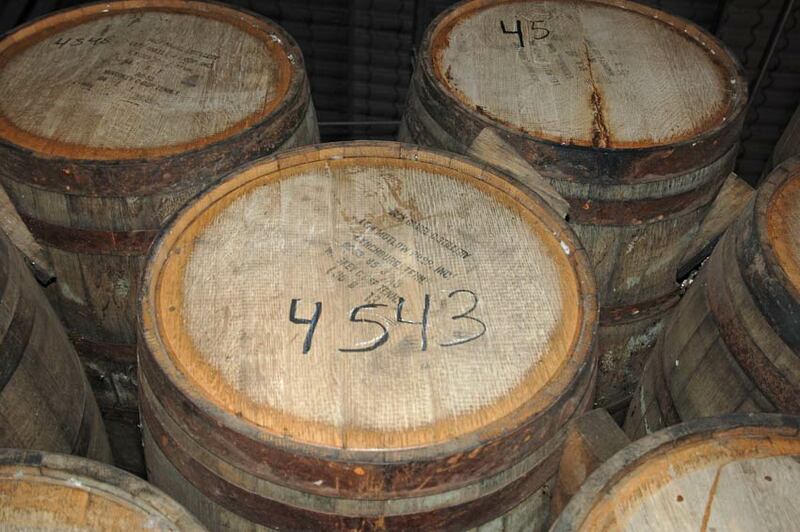 Used oak barrels from the Jack Daniel Distillery are used to age tequila at Tequila Centinela, Arandas, Jalisco.